Wright20, the Chicago Auction House, will have another modern & contemporary design auction on March 28th. 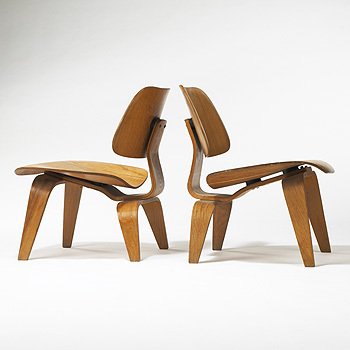 We love the Charles & Ray Eames collection which we will be auctioned. They include the Charles & Ray Eames PAW armchair, the Charles & Ray Eames DCW and several Charles & Ray Eames desks and storage units designed for Herman Miller. The Charles & Ray Eames connection (from georgenelson.org): George Nelson and Charles & Ray Eames, were the founding fathers of American modernism. Their creativity eclipsed at almost the same period, although they were almost 3000 miles apart with George Nelson's office being in New York City and Charles & Ray Eames office in Los Angeles. 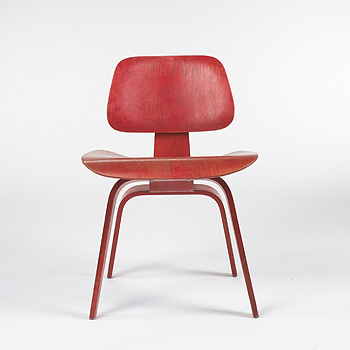 Charles and Ray Eames started to experiment with molded plywood technology and furniture designs in 1941. Their first creation was plywood splints and litters for the United States Navy. They formed "Molded Plywood Division, Evans Products Co." in 1943 and started mass production of their plywood chair and table in 1945. 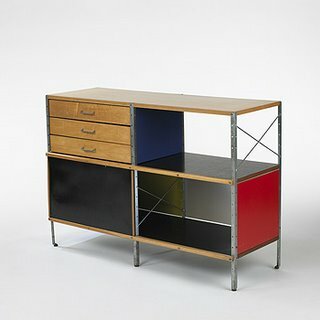 In 1946, "Molded Plywood Division, Evans Products Co." made an exhibition at the Barclay Hotel and Museum of Modern Art in New York. George Nelson visited the exhibition and was very impressed. George Nelson, who was at that time already the design director at Herman Miller, made Charles and Ray Eames a great offer. 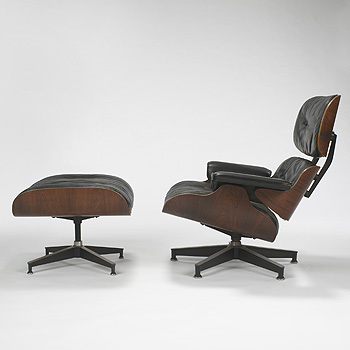 Charles and Ray Eames accepted the offer and granted the right of production and distribution to Herman Miller. 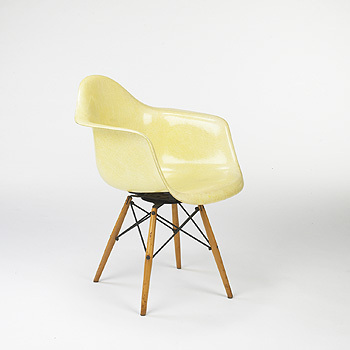 Charles & Ray Eames continued to design for Herman Miller for many years to come.